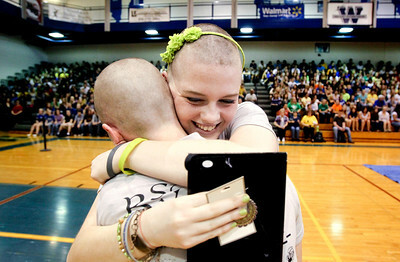 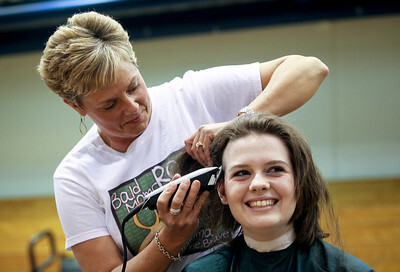 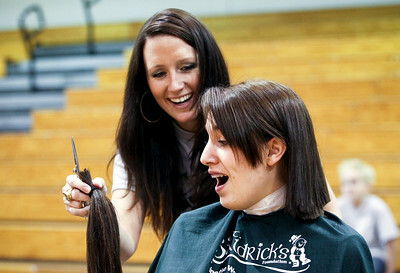 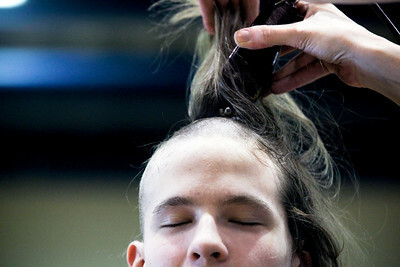 Kim McKenzie shaves Woodstock high school freshman Amanda Jandernoa's head during a St. Baldrick's Foundation fundraiser in the auditorium of the high school. 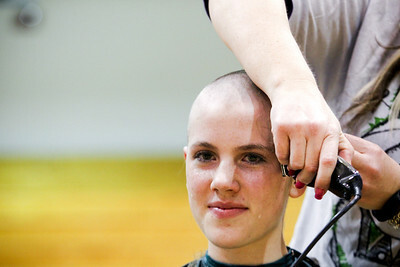 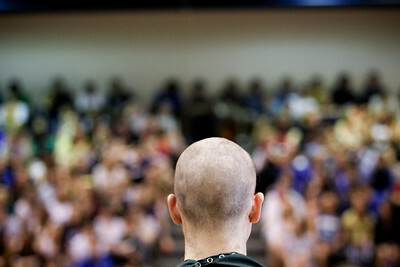 St. Baldrick is a charity that raises money for childhood cancer research. 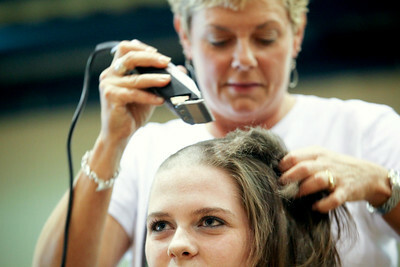 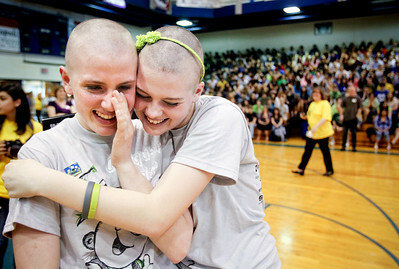 Jandernoa's aunt died of cancer and she and friend Nora Brown shaved their head together in memory of Hope Fuller. 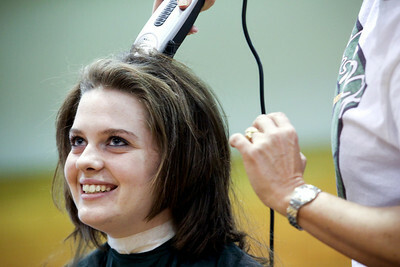 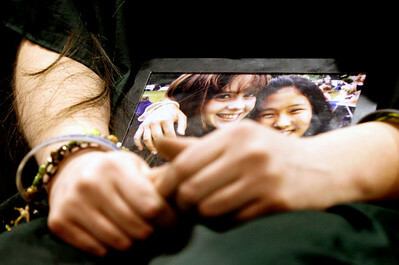 Fuller died of Diffuse Intrinsic Pontine Glioma, March 10, 2010 and would have been a freshman this year at Woodstock high school. 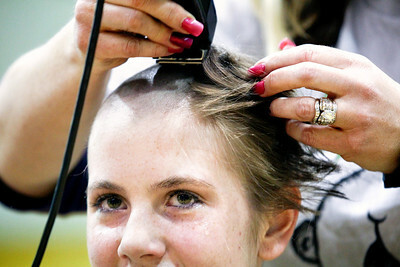 Zach Stone raised the most money, netting $2,300 for the organization.